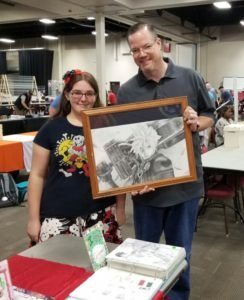 Home Event Highlights	Our Hickory Con (NC) Experience! 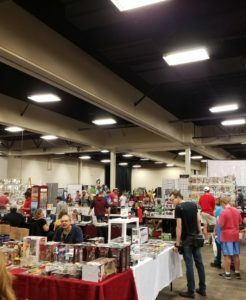 Our Hickory Con (NC) Experience! 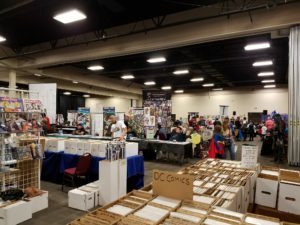 The very first comic con we attended was last year’s Hickory Con. It was everything we had hoped for and more. This year was no exception as we had a phenomenal time! 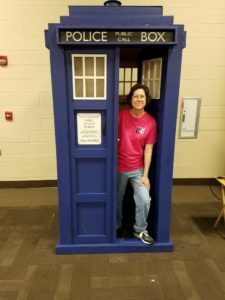 We took a trip in the TARDIS. 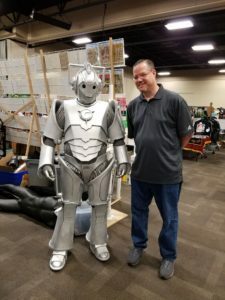 Hung out with a Cyberman. 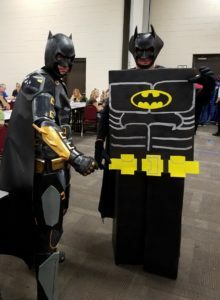 Discovered that human and Lego Batman are good friends. 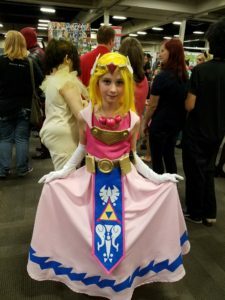 Said “hello” to Princess Zelda. And, caught Connor Kenway on a secret, stealth mission. 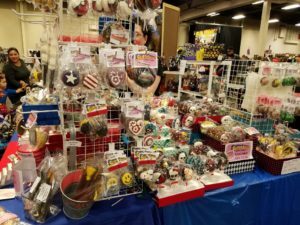 We also made our way through mounds of comics, novelty items, and figures. Enjoyed some delicious chocolate covered cookies. And, were astounded by the artistic talent on display. (This piece, which we bought, is by Sorsha Phillips). It was an event not to be missed! Thanks to Timmy Mac’s and Time Tunnel Comics for organizing/sponsoring this special day. We couldn’t have had a better time and are already looking forward to next year! Want to see even more pictures from this event? Check out our gamecuddle Instagram account. 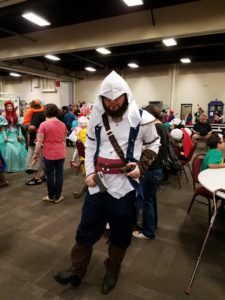 Want more information about Hickorycon? Check out their Facebook page for the latest updates /news. 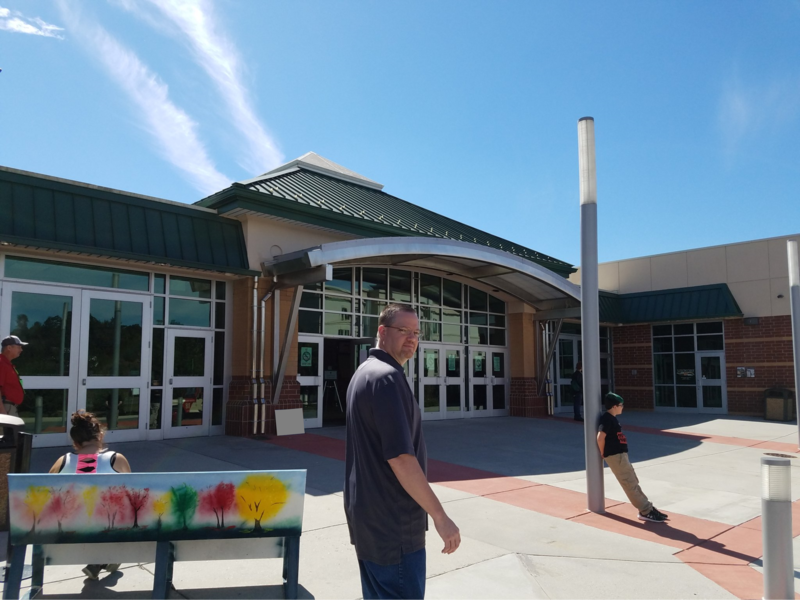 We Were a Part of a Pokémon Go Ex Raid Field Test. This is What We Learned.